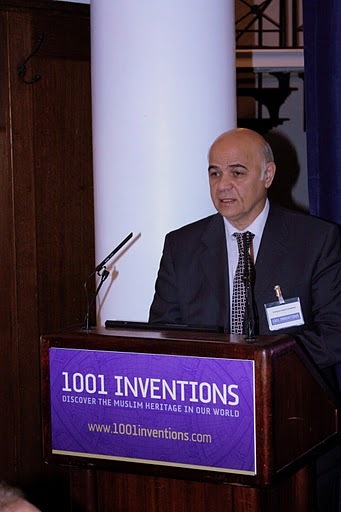 Figure 1-2: Professor Hamid M. K. Al-Naimy presenting his lecture in the "1001 Inventions" conference. © FSTC 2010. The aim of this paper is to introduce the status of research and studies on the history of astronomy in some Arab countries, in regard to research, studies, translations and manuscript editing, including the research activities in Sharjah (UAE). The focus is laid on a proposal for establishing an International Foundation for the History of Islamic Sciences, as an independent international, non profit and legal foundation whose headquarters are suggested to be hosted at the University City of Sharjah. The research activities in the history of Arabic sciences, including astronomy, are currently very good in many universities and heritage research centers at many Arab countries. These activities include conferences, workshops, symposia, research, graduates studies, editing manuscripts, translations, etc. The following paragraphs will present examples of some important current research results into the history of Arabic astronomy in several Arab countries. – Al-mughni fi ahkam al-nujum by Ibn Hibinta (10th century). – The study of works of astronomy based on copies from the British Library, such as the Mas'udi Canon by Al-Biruni (ca 1149 CE) and three manuscript copies of Thabit ibn Qurra's edition of Ptolemy's Almagest (Kitab al-Majesti), one of his most famous contribution in astronomy, and his writing on the visibility of the crescent (copied in 1242 CE). 2. The Civilization Department in Tunis University: Edition of works of astronomy such as Khefiat Aflaton al-sughra, Minhag al-talib fi ta'dil al-kawakib by Ibn al-Banna al-Murrakushi, an elementary text in astronomy, the poetry of Sheikh Abdurrahman al-Khudari, and Zayjarat Ibn al-Shatir. This center made good contributions in the history of the Arab sciences, including astronomy. It has a large number of research papers, editing manuscripts, translations, graduate students thesis, etc, but unfortunately because of the unstable situation in the country, the number of researchers in this field has greatly decreased. We hope it will flourish again. – Arts, humanities, economics, law, philosophy and social sciences. A research group in the University Mohammed Vth in Rabat is working on the edition of a manuscript in astronomy from an unknown author. It is an old manuscript and it contains a description of the solar system. Among its contents: basic knowledge in astronomy, theoretical and applied, Al-awfaq for Al-Ghazali, Al-Afaq wa-'l-awfaq, day and night timing, hisab, Al-'usul fi al-nujum, astrology, etc. Edition and analysis of manuscripts in astronomy (i.e., Kashf Al-Asrar Al-Khafia fi 'ilm Al-Ajram Al-Samawia) and other works on navigation. Records of aurora in the Islamic chronicles from the 9th to the 16th century (Basoura 2006). Edition of Thalathat azhar fi ma'rifat al-bihar by Ibn Majid (edited by Teyodor Shomofeky, translated by Dr Mursi, from Cairo University). Located in Dubai, the Centre provides a large quantity of manuscripts, many of which are on scientific subjects. It owns a rich library, made available to scholars. Besides providing restoration services for Arabic manuscripts in many countries, the Jumaa Almajed Centre offers research grants. (Visit the website of the Centre by clicking here). One of the resolutions of the First International Conference on the History of Arab and Muslim Sciences, which was held at Sharjah University during the period 24-27 March 2008, was to establish an International Foundation for the History of Arab & Muslim Sciences (IFHAMS). A large number of scholars who attended the conference proposed the establishment of this structure. The IFHAMS should be an independent international, non profit and legal foundation with an independent budget, whose headquarters will be located at the University of Sharjah, UAE. It will establish branches and associations with scientific bodies throughout the world. Its board of management and board of trustees will consist of Arab, Muslim, and Orientalist scientists and scholars who are well known locally, regionally and internationally (King 2008). The membership of IFHAMS will consist of scholars and researchers from Arab, Islamic, and international academic institutions who are interested in the history of Arabic and Muslim sciences. Vision: The IFNAMS aspires to become a distinguished center for publicising the contributions of Arab and Muslim scholars in sciences, and their influence on contemporary science and the service of humanity. Mission: The Foundation will be responsible of reviving, collecting, maintaining and translating Islamic scientific heritage. It also endeavors to build bridges for better communication between different cultures through conferences, colloquia, and workshops. Revival of Arabic and Islamic scientific heritage, maintaining it, and introducing it locally, regionally and internationally. Preparation of researchers and training them in different aspects of Arab and Islamic scientific heritage. Sponsoring scholars interested in Arabic and Islamic scientific heritage, and supporting their work whether theoretical, practical, or technical locally, regionally, and internationally. Endeavour to integrate the theoretical and practical components of this heritage into modern teaching systems since it is a shared human denominator which served civilization previously, and which forms nowadays an epistemological foundation for communication and intercultural exchange. 7. Encouraging the ministries of education and relevant institutions of higher education in Arab and Muslim countries to teach the history of Arab and Muslim sciences in different stages, and to encourage graduate students to write dissertations in this field. 4. Establishment of a specialized library in the field of the Arabic and Islamic history of sciences. 4. Holding seminars, colloquia, and workshops. 7. Translation of the best work in Arabic and Islamic sciences. The Foundation will propose to handle all preparations related to the award: publicity, correspondence, invitations, and ceremony of delivering the award. 1. Establishing a data base in Arabic and Muslim sciences (comprising data about the scholars, their books, original manuscripts, theses, scholars' S&T contributions, patents, translation works, etc). 3. Creating a talented scientists' patronage centre. We must note at the end of this enumeration of the IFNAMS' program, vision, objectives and organisation that the Foundation's project is still a proposal under study; it will be submitted to the Sharjah Higher authorities for approval. 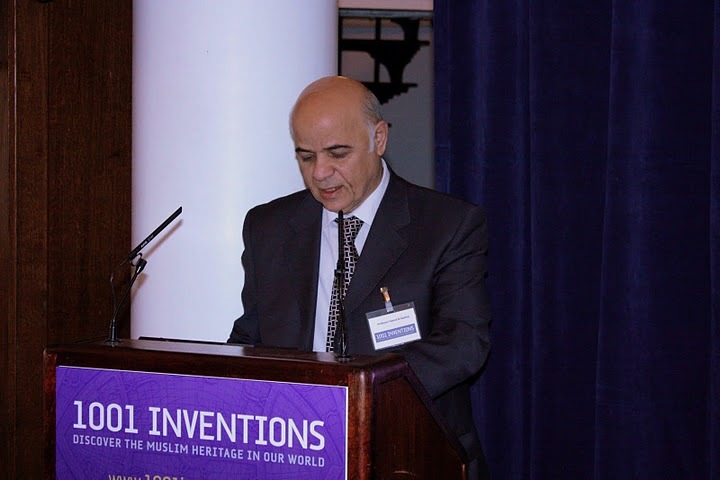 Al-Naimiy, H. M. K., "Astronomical Instrumentations Invented by the Muslims Scholars and Used in the Gulf Maritime History", lecture at The Gulf Maritime Through Ages Conference, organised by Dr. Sultan Al Qassimi Centre of Gulf Studies, in cooperation with the Department of History and Islamic Civilization in the College of Arts, Humanities and Sciences at University of Sharjah, 17-19/November/2008. (click here for more information about this conference). Al-Naimiy, H. M. K., "The Arab and Muslim History of the Astronomical Instrumentations and Observatories (from the 8th to the 21st century)", The Third Annual Conference on Islamic History, (Uniformity and Diversity in Islamic Civilization), Sharjah University April 2010 (click here for more information about this conference). Alsagheer, Nouraldeen, private communication on the history of astronomy in the Arab World, University of Sharjah, 2010. Basoura, Hassen, Meteoritic and Planetary Science Journal, 38, 2003. Basoura, Hassen, JKAU: Sci., 2004, 16, 3-17. Basoura, Hassen, JKAU: Sci., 2004, 16, 19-32. Basoura, Hassen, J. of Arab Association Universities for Basic and Applied Sciences, 2005, 1, 19-25. Basoura, Hassen, Solar Physics Journal, 2005, 225, 209-212. Basoura, Hassen, Journal of Atmospheric and Solar-Terrestrial Physics, 2006, 68, 937-941. King, David A., private communication on IFHAMS, Sharhaj, March 2008. Loa'ay Mohammed, Jawami' 'ilm al-nujum wa-usul al-harakat al-samawiya li-al-Farghani, PhD thesis, University of Aleppo, December 2009. Shalhob, Sami, A lecture delivered at Aleppo University on the occasion of the activities organised to celebrate "Aleppo as Capital of Islamic Culture ", Institute for the History of Arabic Science at the University of Aleppo, 2006.